The use of early vitrectomy (PPV) for proliferative diabetic retinopathy (PDR) without diabetic macular edema (DME) has been shown to be as cost-effective as management with panretinal photocoagulation (PRP) and more cost-effective in the short term than intravitreal ranibizumab. 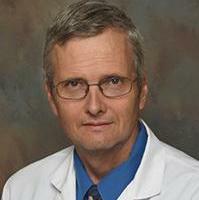 The research group, including William E. Smiddy, MD, the M. Brenn Green Chair in Ophthalmology at the University of Miami’s Miller School of Medicine, completed a decision analysis based on the results from the Diabetic Retinopathy Clinical Research Network (DRCR) Protocol S to model the 2-year costs and outcomes for each of the 3 treatment scenarios. They used the Center for Medicare and Medicaid Services data to calculate the cost models for in hospital and facility, and non-facility settings. Presented at the 36th annual meeting of the American Society of Retinal Specialists (ASRS) in Vancouver, British Columbia, the findings revealed that the modeled and lifetime quality adjusted life-years (QALY) costs in the facility and out of the facility for the PRP group were $163,988 and $102,559, respectively, compared to $436,992 and $326,424, respectively, in the intravitreal ranibizumab group, and $181,144 and $107,965, respectively, in the PPV group. “This advantage over IVR continues when lifetime costs are factored,” Smiddy and peers wrote. Past the 2-year cost-estimation period, the cost/QALY in the facility setting was computed to be $61,695; $338,348; and $63,942 in the PRP, intravitreal ranibizumab, and the PPV groups, respectively. Likewise, the non-facility costs were calculated as $21,752 for the PRP group, $239,741 for the intravitreal ranibizumab, and $22,261 for the PPV group. The estimations of the use of resources over the 2-year period found that all 3 scenarios were equivalent in their use of a new comprehensive eye exam (n = 1 for all), optical coherence tomography (OCT; n = 3 for all), and fundus photo (n = 3 for all). Management with intravitreal ranibizumab resulted in a higher use of intermediate follow-up exams (15.25) compared with PRP (5.5) and PPV (8), as well as intravitreal injections (10.1; 2.2; and 0.5, respectively). PRP was associated with a higher estimation of the use of a focal laser (0.08) and PPV with PRP (0.15). The study, “Cost Evaluation of Early Vitrectomy versus Panretinal Photocoagulation and Intravitreal Ranibizumab for Proliferative Diabetic Retinopathy,” was presented at the 36th ASRS annual meeting as a poster.